While we’ve been gone from our home state much has happened here on the coast to cheer about. Perhaps the biggest and brightest win here on the coast was the denial by the Federal Energy Regulatory Commission (FERC) of the Canadian-based energy company Verisen’s application for a permit to construct a liquified natural gas (LNG) terminal on Coos Bay’s north spit. Through 14(!) years of shenanigans that began with the coy proposal that Jordan Cove would be for import (which local activists doubted from the start) and ended with the old switch-a-roo to export, ultimately the Jordan Cove project sunk when the company couldn’t prove the need for it. (Currently there are no potential overseas buyers for the LNG.) Additionally the company had been unsuccessful in securing the rights-of-way for the pipeline linking Wyoming’s gas fields to the oceanside facility. Verisen would have had to rely on eminent domain to seize the necessary land route (long, costly and likely to create very hostile [ex]landowners). Both sides were stunned by the decision which came without warning Friday March 10. While local activists cheered, Verisen pledged to re-submit. But for now the terminal, located in a tsunami zone and near a school, is dead in the water. There are also previous posts on this blog. Search “Coos Bay LNG terminal”. 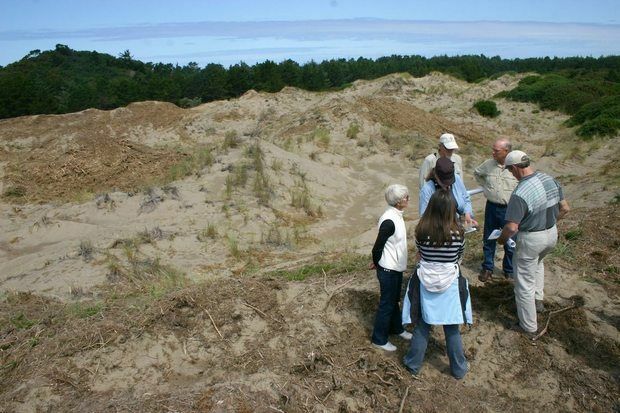 In September 2015 Bandon Biota LLC, the developers who brought the south coast Bandon Dunes Golf Resort, abandoned plans to use a piece of undeveloped state parkland south of Bandon in a land/money/gorse clearing swap that included helping to purchase land in Eastern Oregon for a new park. Folks in Eastern Oregon weren’t too happy about that, nor, it ended up, was the Bureau of Land Management (BLM) who originally passed the Bandon coastal land to State Parks. BLM nixed the deal because the original documents of transmission stated that the land would remain permanently undeveloped park, no matter the apparent enticements offered. Many had argued from the beginning that agreeing to swap state park land would set an unfortunate precedent and were greatly disappointed by the State Parks Commissioners April, 2014 decision to give the project the green light. Since it turned out it was really BLM’s decision to make, they untimately stepped in and stopped the project. There are a number of previous posts about this “deal” also on this website. Enter “Bandon biota” in search. Next Up: Oregon phases out Coal and the hottest February ever. 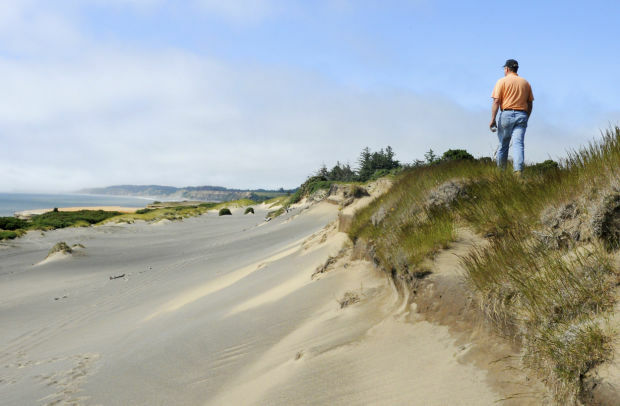 Bandon Biota/State Park Land Swap: Well, it happened. 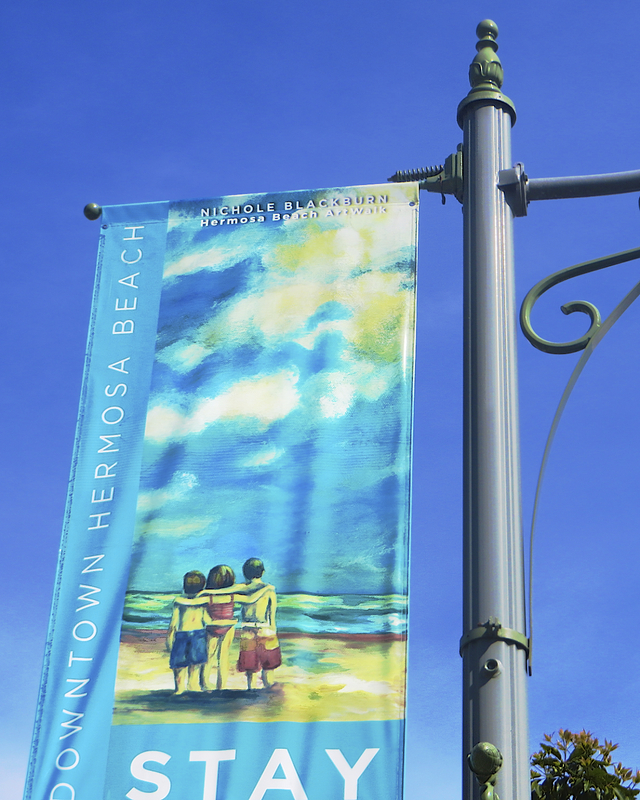 The State Parks Commission in their April meeting said Yes, 4 to 2. Grant County, which had said they really didn’t want a park in their territory, led to a suspension of land acquisition originally slated to be part of the greater deal and those monies ($2.4 million) will be set aside for “future acquisition” of park lands. The 2 Nays weren’t comfortable setting aside such a large amount of money without specified acquisition lands. Now it’s up to the Bureau of Land Management (the original “owner”) to agree to changes in the original land exchange to the state regarding public use of the area forever. I imagine they’ll say yes. Convey two properties to in the Bandon area into the state park system totaling 208 acres. Contribute $300,000 to help combat an invasive plant (gorse) on nearby state park properties. 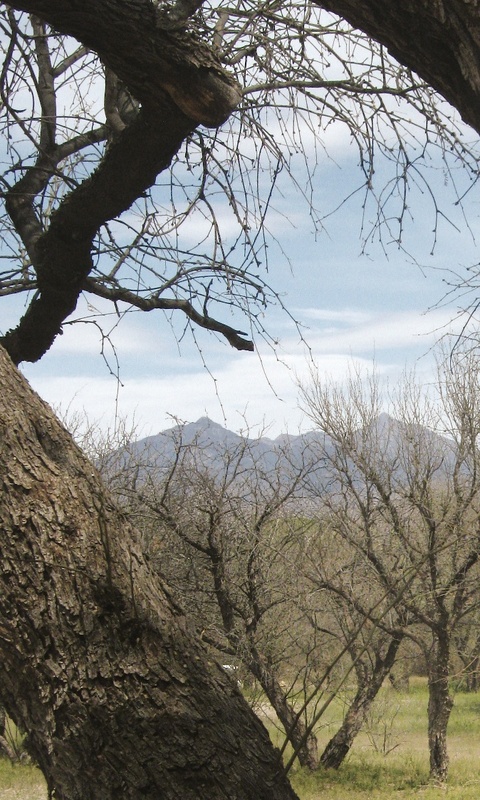 Pay $2.5 million into an escrow account to fund future acquisition of state park property. Offer access to property to move the Oregon Coast Trail north of Bandon off a county road. Contribute $450,000 as match for a federal grant to acquire 11 acres of coast property in Lincoln County known as Whale Cove (this contribution was made before the commission acted and was not contingent on commission approval of the larger exchange). Pacific Gales: Yet another golf course proposal, this time at the end of Knapp Road just north of Port Orford. After the Curry County Land Use Commission approved a conditional (not exclusive farming) land use for the proposed area, the Oregon Coastal Alliance appealed the decision to the Land Use Board of Appeals. The proposal was withdrawn and re-worked to address the appeals’ concerns, and was put before the Planning Commission on Thursday, Sept. 11. No decisions were made at that meeting and more meetings on the revised proposal are in the offing.